The precious metals rally that began in July-August of 2010 looks very similar to the bull runs in gold and silver in 2005-06, and 2007-08. 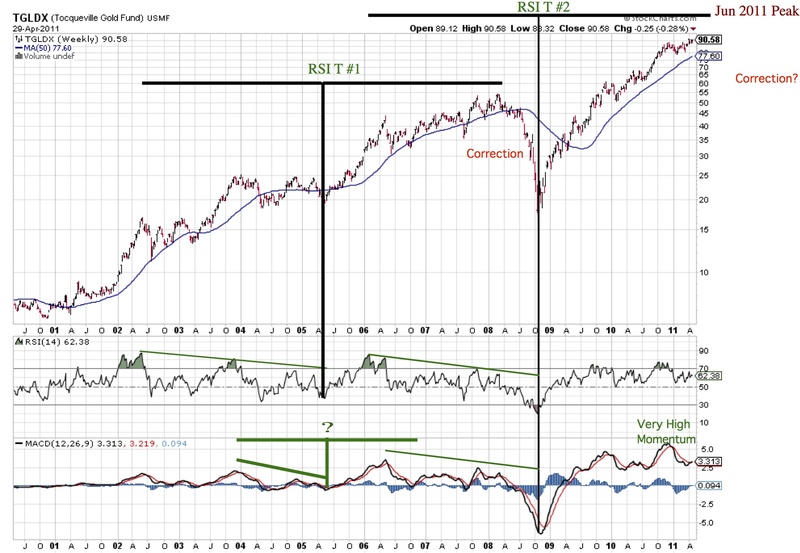 Let’s examine what happened at the end of those bull markets for clues on how to play the expected top in metals coming in the May-June 2011 time frame. As you can see, silver made a top in mid-April 2006, suffered a big correction, and struggled to make a token new high in mid-May. Meanwhile, gold was far less volatile and rose steadily despite silver’s problems. 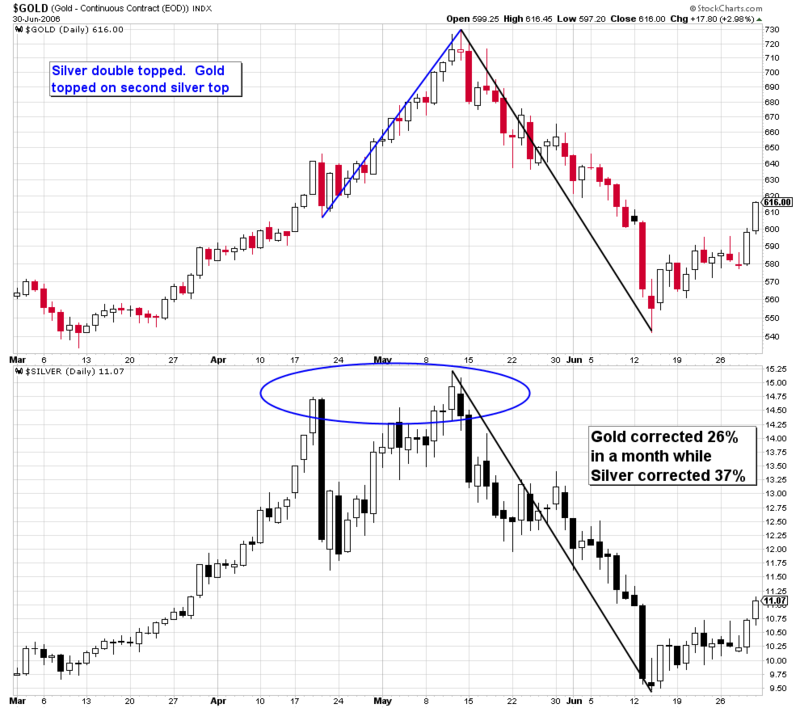 Importantly, gold topped on silver’s double-top. Afterwards, silver crashed much harder than gold over the next month. 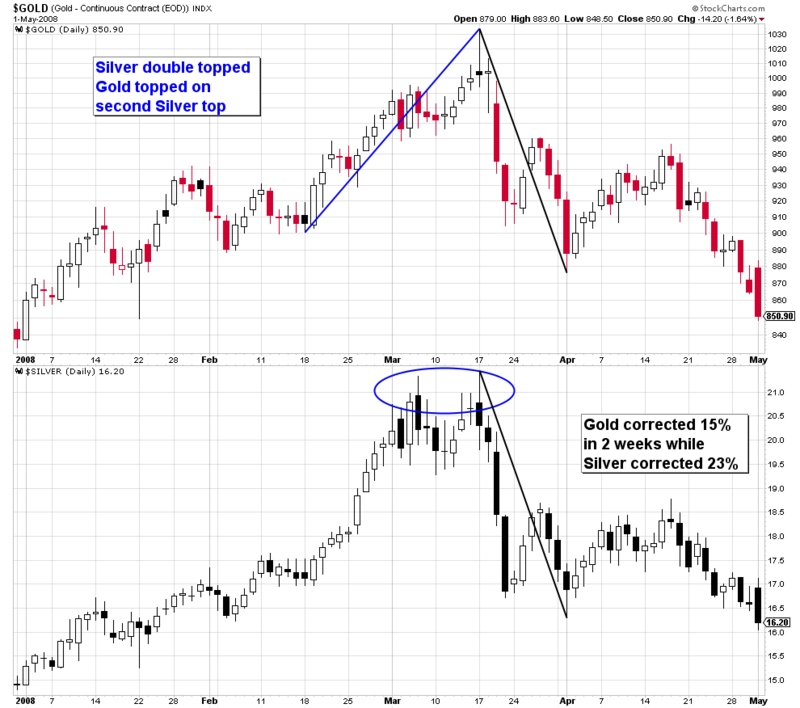 Once again, silver made a double top while gold topped on silver’s second top. And silver crashed harder than gold over the next two weeks. Silver acts like a modern day Icarus at tops. It flies a little too high, fails to learn its lesson, and on the second attempt its wings melt completely resulting in a crash landing. In the coming weeks, I will be watching very closely to see if silver: 1) makes a top, 2) corrects more significantly than gold does, and 3) struggles to make a new top while gold keeps climbing. This pattern should provide an excellent signal take profits in gold. This entry was posted on April 17, 2013 at 10:09 AM and is filed under . . . T Theory®. You can subscribe via RSS 2.0 feed to this post's comments. You can comment below, or link to this permanent URL from your own site.